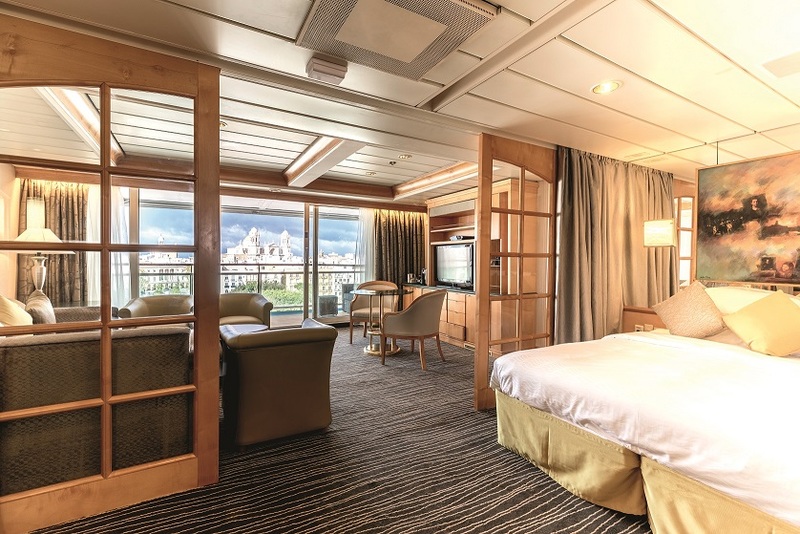 During a six-week refurbishment in Cadiz, marine refurbishment specialist Trimline transformed the interior of Royal Caribbean’s Legend of the Seas into Marella Cruises (formally Thomson Cruises) newest ship Marella Discovery 2, sister ship to Marella Discovery, which Trimline transformed last year. 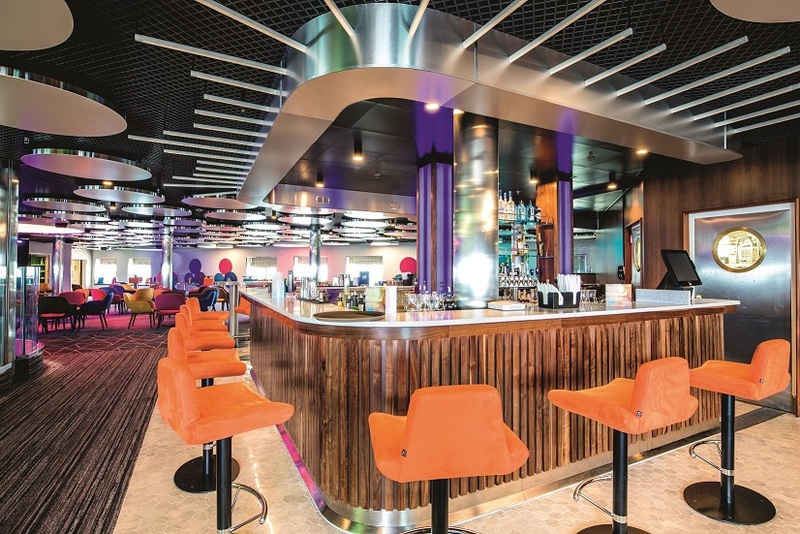 The 200-strong team refurbished the 1,832-passenger ship in a similar way to TUI Discovery giving it a new contemporary style of interior, with a number of areas being transformed, most notably the Live Room entertainment space, which is the ship’s focal hub. 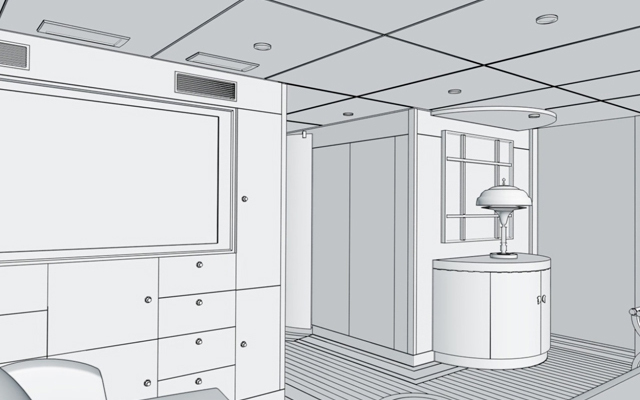 Previously split into two parts, Trimline created an open space and then the team set about installing new bulkheads, deck heads, raised deck and stage areas, and a custom-built bar. 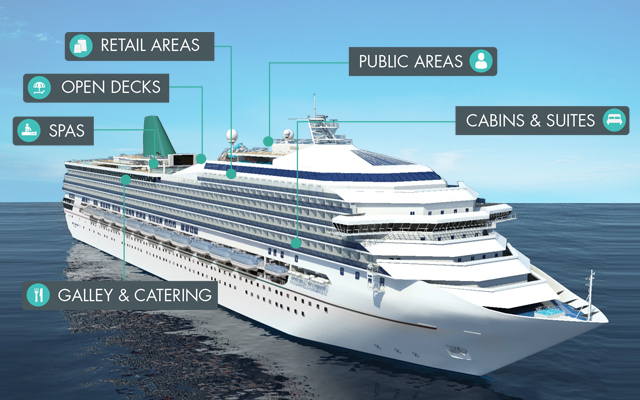 A bespoke acoustic ‘floating’ deck was installed along with sound dampening to reduce noise levels to cabins situated directly below. 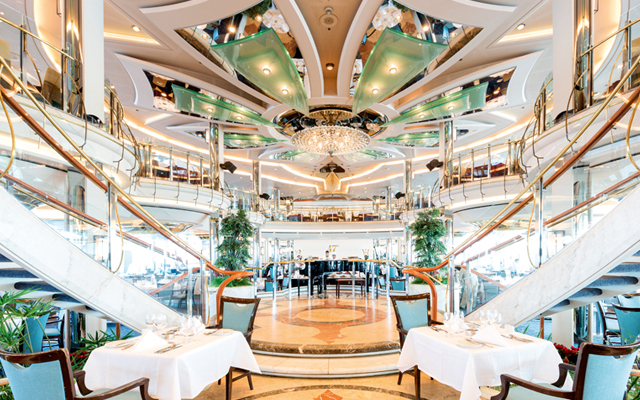 The final feature was a grand piano on a raised drinks area, painted yellow with a high gloss finish. 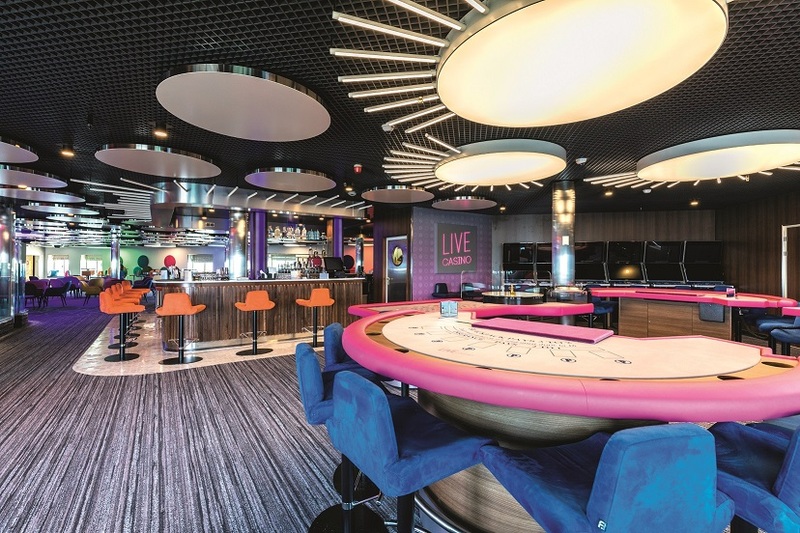 Trimline fitted contemporary laminate pink and blue design bulkheads with feature ceiling discs and LED lighting, including a programmable system for dimming and changeable colours to suit the requirements of the onboard entertainers. 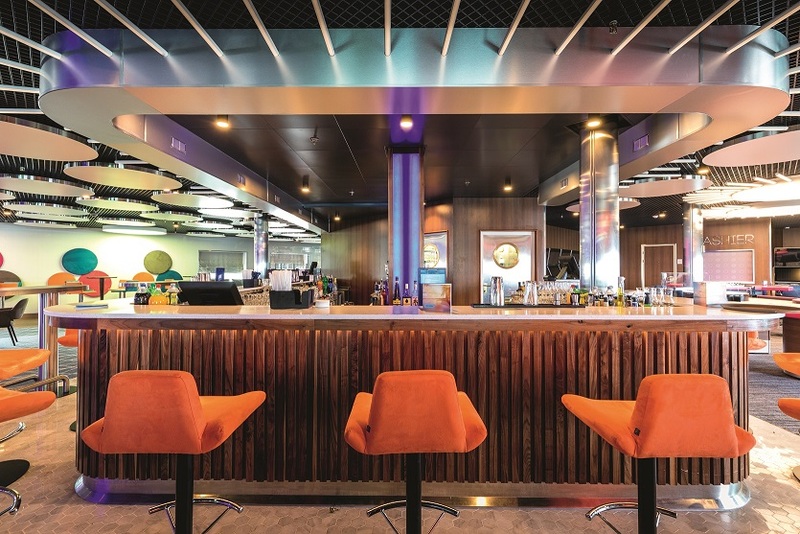 Other areas that underwent a transformation included 915 cabins and suites, 47° Restaurant, Venue Bar, Photography Studios, Gaming Room, Bar Eleven, Deck 9 stage, Deck 10 bar, alleyways, landings and lobbies.